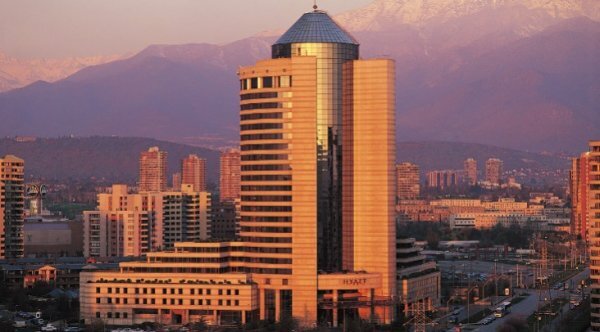 Grand Hyatt Santiago hotel is a 5 star luxury hotel in the exclusive business district of Las Condes in Santiago, Chile. Our hotel in Santiago offers easy access to Santiago city centre and Santiago de Chile’s international and domestic airports. Grand Hyatt Santiago hotel is also home to world-class, multi-cuisine restaurants, a lagoon-style swimming pool with a waterfall, a tennis court, and the three-story free-standing AKO Wellness & Spa. The most exclusive golf clubs of Santiago de Chile are only a few steps away from the hotel. Our Las Condes hotel also features a health club where guests can pamper with a variety of beauty and relaxation treatments. The hotel offers exclusive dining and bar options such as Anakena, Matsuri and Senso restaurants, and Atrium Lobby Lounge and Duke’s Bar. 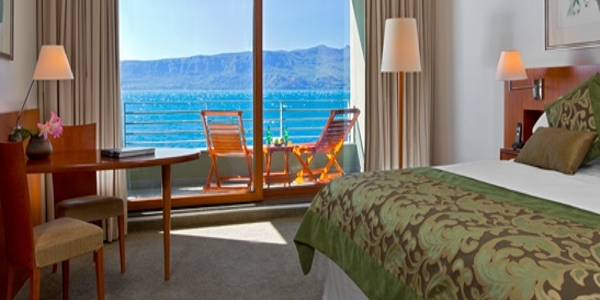 Our Santiago de Chile hotel is less than one hour away from the city’s important ski resorts and the coastline. The main highlights of Santiago ski resorts are its state-of-the art infrastructure, scenic beauty and easy accessibility by tourists. The beaches of Santiago are equally attractive. Located near Viña del Mar, only two hours from Santiago, are Zapallar and Cachagua. Guests can also visit the vineyards that date back to the 16th century, located only 40 minutes from our hotel in Santiago. 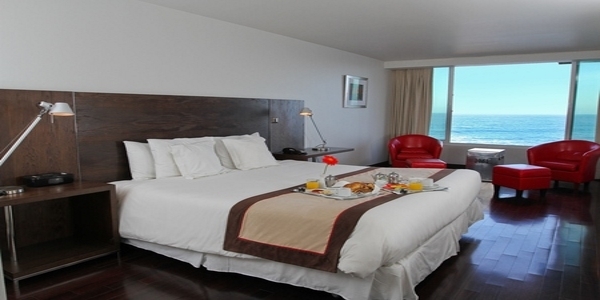 Our Santiago hotel has 310 luxury rooms and suites that offer excellent amenities. 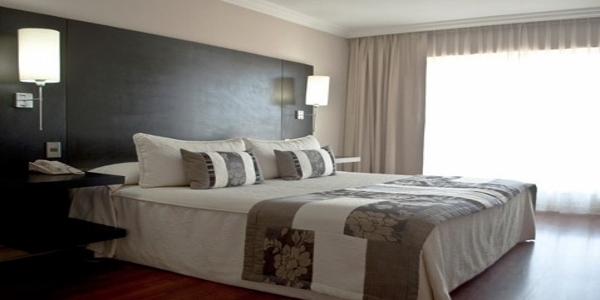 The mountain view clubbed with the five star facilities make your stay at Santiago a pleasure. 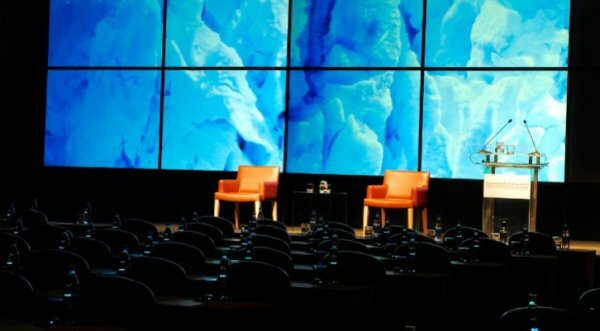 Grand Hyatt Santiago hotel also offers business meeting facilities, wedding and event planning and venue options. AKO Spa at Grand Hyatt Santiago hotel in Chile provides a true resort spa and wellness experience in the heart of the city. The 3-story free standing AKO Spa has five treatment rooms with sauna facilities, an ultra modern fitness and aerobic studio, an outdoor 1000-square-metre lagoon-style swimming pool with waterfall, two floodlit clay tennis courts and lush gardens. Guests can unwind with one of thirty unique and extensive varieties of relaxation therapies, facial and body treatments. 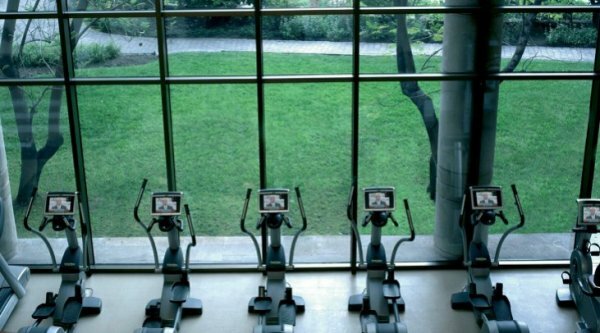 The Fitness Centre includes a complete selection of cardiovascular and body equipment. 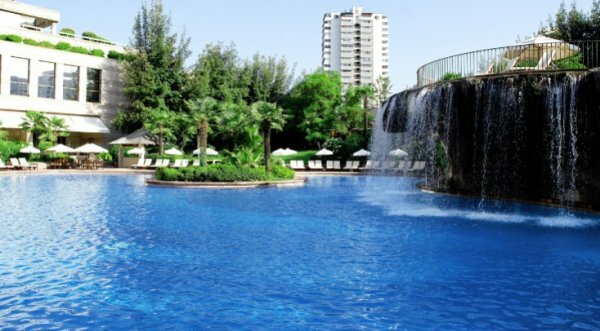 The Grand Hyatt Santiago features an outdoor 1000-square-metre lagoon-style swimming pool with waterfall. 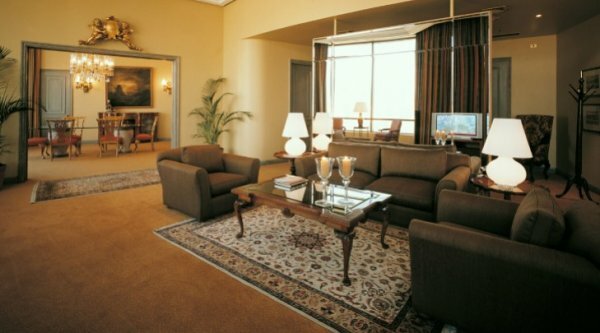 The Business Centre is located in the Lobby of Grand Hyatt Santiago hotel and offers an ‘office away from the office’. It has been especially designed to provide a high level of business, commercial and clerical services to all guests and visitors. The state-of-the-art business amenities and services by highly trained professional staff in a comfortable, functional environment create a congenial work environment at our Santiago hotel. The range of services includes photocopying, translation, fax, courier, rental of personal PC and celular phones, a conference room for 12 people and a private office, available for rental. There are also work stations with multimedia PC, fax-modem, Internet access and a laser colour printer. Grand Hyatt Santiago hotel, Chile has banqueting and conventions facilities that include a flexible arrangement of six meeting rooms, a boardroom and Hyatt’s Grand Ballroom with a capacity of 800 people. All of the hotel’s meeting rooms offer state-of-the-art technology. 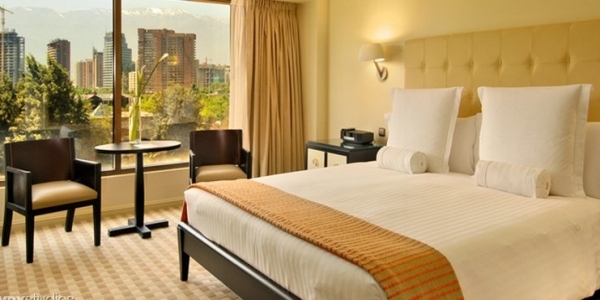 Experience Hyatt style and luxury with the backdrop of the Andes at Grand Hyatt Santiago! Grand Hyatt Santiago eases the worry of wedding planning, with our specially conceived wedding packages. Whichever you choose, our wedding specialists are ready to offer expert assistance – allowing you to anticipate your special day with pleasure and confidence. Whether you dream of a grand gala for hundreds or an intimate gathering with just a few close family and friends, our service will custom-design your special day to make it a one-of-a-kind event. 52-sq.-metre interiors feature modern decor with beige marble and black and white accents. Views of Santiago, hotel gardens or the Andes Mountains complement two twin beds with fluffy down duvet and pillows, sitting area, work desk with high-speed Internet access and marble bath with tub, shower and vanity. Enjoy locally made spa products, stereo and LED TV. 52-sq.-metre interiors feature modern decor with beige marble and black and white accents. Views of Santiago, hotel gardens or the Andes Mountains complement a king bed with fluffy down duvet and pillows, sitting area, work desk with high-speed Internet access and marble bath with tub, shower and vanity. Enjoy locally made spa products, stereo and LED TV. Hyatt’s “hotel within a hotel” concept, Grand Club®, offers VIP accommodation for those who desire a higher level of service and personal attention in addition to the standard benefits and facilities of the hotel. Grand Club® accommodation includes 38 Grand Club® rooms and 23 suites, with the use of a private three-storey atrium lounge located on the 16th floor, with stunning views of the Andes Mountains. 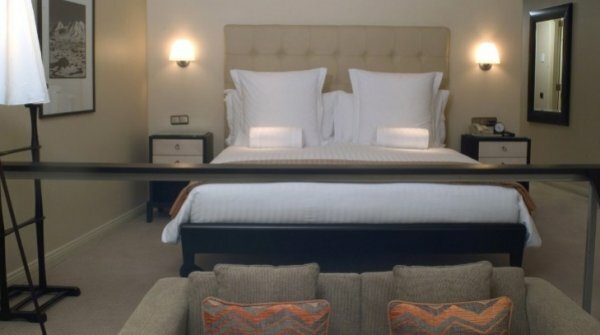 The new rooms are sophisticated and stylish, decorated with marble, carpet and parquet flooring, LED TV and DVD, High-speed Internet Access and deluxe amenities. Grand Club Lounge is the perfect place for business and private meetings, with office facilities available such as fax and photocopy machines. Enjoy complimentary breakfast, all-day tea and coffee service, and evening cocktails. There are board games, a large billiard table and international newspapers for guests entertainment and relaxation, and a dedicated multilingual Concierge is on duty throughout the day to attend to guests needs, including check-in and check-out procedures. Grand Hyatt Santiago has 13 Executive Suites (81 square metres), eight with a garden terrace 22 square metres in size, all designed and decorated in the most exclusive fashion. The Executive Suites are located on the first three floors and the 19th floor, with fabulous views of the Andes Mountains. The suites have a separate living room, convenient for those who wish to receive visitors or conduct business meetings, and an executive work desk with broad band internet conexion. All the suites have a fully equipped bathroom, with jacuzzi, a separate shower room, digital scale, special mirrow, telephone and special AKO toiletries. 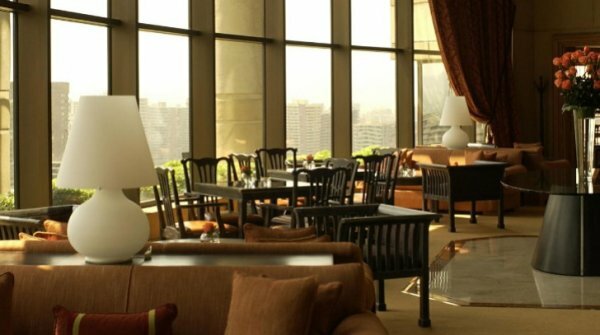 Grand Hyatt Santiago has nine Diplomatic Suites (122 square metres), four with a garden terrace 22 square metres in size. These suites include a separate lounge, a visitors’ bathroom and a dining area. 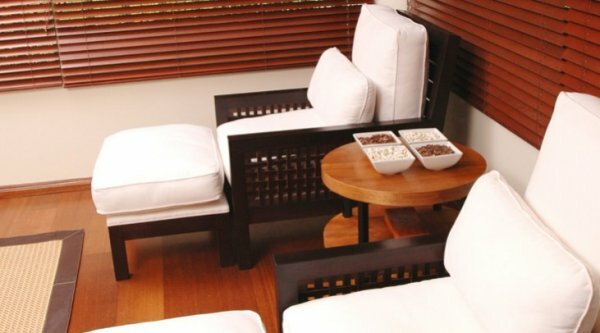 The furniture is modern and comfortable, perfect for creating a soothing, restful and elegant ambience. The dining area, with its own pantry, can accommodate six to eight persons; the hotel can prepare meals, or guests may prepare their own in the suite’s kitchen. The lounge is furnished with comfortable sofas, a low table, remote-control television, video, audio equipment, a drinks cabinet and an executive work desk with broad band internet conexion. All the suites have a fully equipped bathroom with jacuzzi, a separate shower room, digital scale, telephone and AKO toiletries. The interior of the Presidential Suite presents a world of surprises where a traditional way of living is combined with the comforts of modern life. 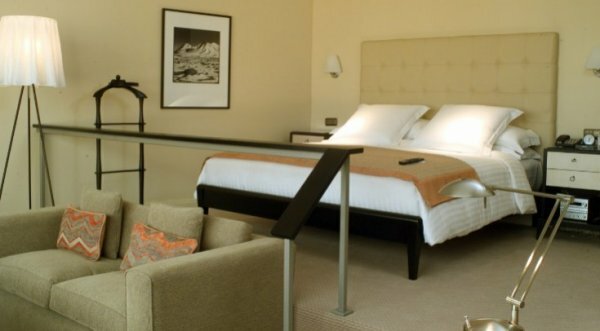 Measuring 240 square metres and located on the 19th floor, the suite has stunning views towards the Andes Mountains. 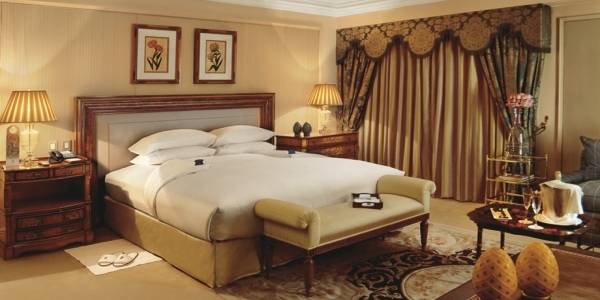 This is the suite where heads of state and celebrities stay. The living room includes separate lounge and dining areas, a visitors’ bathroom, a private study with writing desk, broad band internet conexion and library. 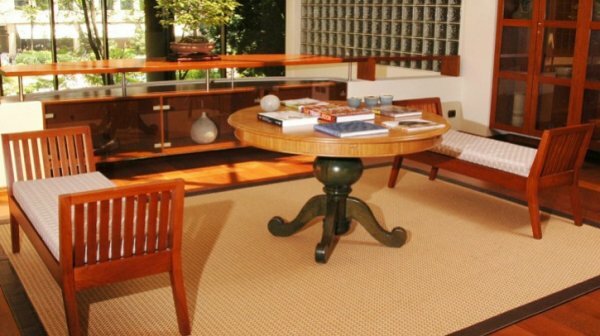 The furniture is luxurious and comfortable, creating an elegant and restful ambience. The lounge area is furnished with comfortable sofas, wood and cristal tables, remote-control television, in-house video and audio equipment. The dining area, with its own pantry, can accommodate six to eight persons; the hotel can prepare meals, or guests may prepare their own in the suite’s kitchen. The luxurious king-size bedroom is decorated in subdued colours, has a colour television with cable and video, and commands a spectacular view. The oversized bathroom with jacuzzi and floor are enhanced with marble and lapislazuli, and offers a separate shower room, telephone, hairdryer, bathrobes and top-of-the-range toiletries. 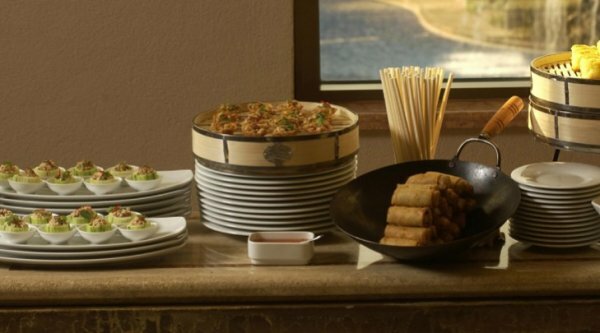 Located in the gardens of the hotel, Anakena offers exotic specialities from Thailand and other parts of the world, prepared with fresh seafood and meat, prepared in the continental, grilled or Thai style. 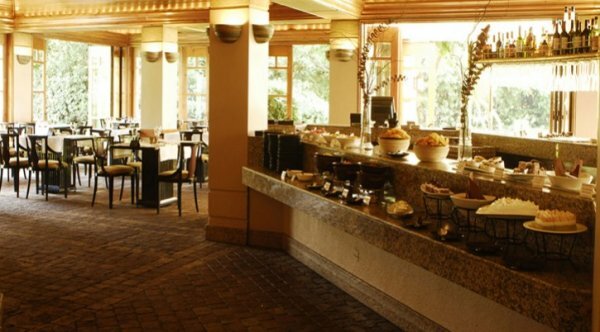 A variety of delicious dishes are offered, with a full salad bar and tempting desserts. 12.30 hrs. – 16.00 hrs. 19.00 hrs. – 00.00 hrs. 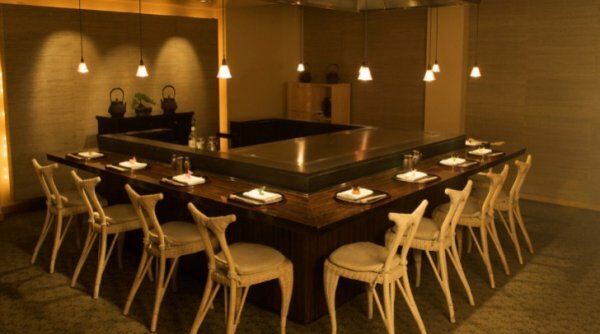 Widely renowned as ‘the best Japanese restaurant in town’ and also known for its sophisticated interior design, the Matsuri Japanese restaurant at Grand Hyatt Santiago hotel features a sushi and sashimi bar, live cooking at the teppanyaki tables, and two private tatami rooms. Located off the lobby with an outside terrace,Restaurant Senso offers Mediterranean cuisine and includes two wine caves, offering a wide selection of the best Chilean wines. The interior and terrace offers wonderful views of the hotel gardens and the water cascade. 06.00 hrs. – 11.00 hrs. Located in the Lobby, has comfortable living rooms. It is the perfect venue for enjoying traditional afternoon tea and tasting delicious snacks. Located off the Lobby, Duke’s Bar, with its English ambience, is a perfect place to enjoy an after-dinner drink and live music, or enjoy a happy hour with friends. 17.30 hrs. – 02.00 hrs. Only 2 cocktails for the price of one, including up Whiskey 12. From Tuesday to Saturday at 21.30 hrs. to 01.00 hrs.